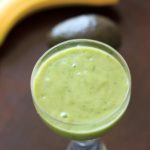 Gluten-free + Vegan Avocado Banana Smoothie - Only 4 ingredients! 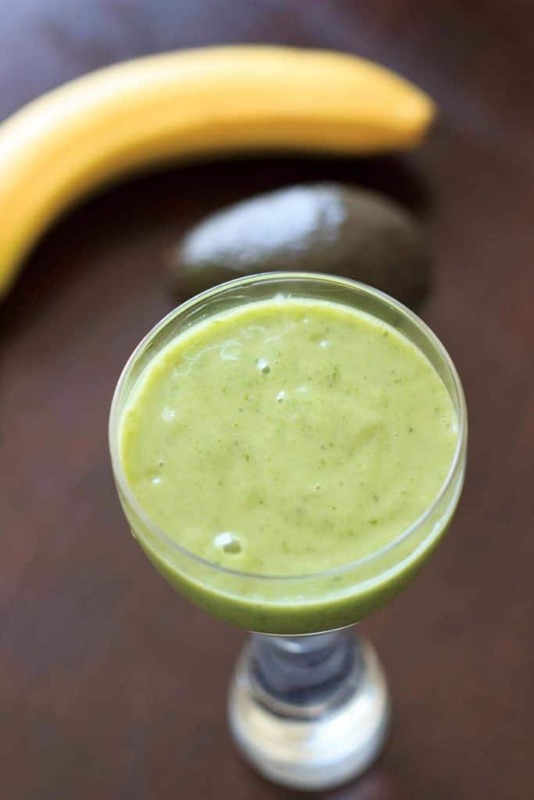 An avocado banana smoothie that is sure to brighten up your day! Creamy, fruity, and deliciously tasty AND good for you. Great way to mix up your typical green smoothie. Has anyone else heard that we’re having an avocado shortage? I’m not sure if it’s still an issue, but ever since I heard that about a month ago I’ve been craving avocado like no joke. I would say I’m falling under the “you want what you can’t have” psychological spell, but really.. I’m still able to buy them, so I CAN have them. And so can you! With banana. In a smoothie. This was the first time I tried adding avocado to a smoothie. At first, I thought that did not sound good at all. But I figured what did I have to lose? Worst case, only half an avocado! I was not disappointed. Honestly I was hesitant on whether or not I would enjoy drinking avocado, even though I love eating them. I tell people about adding avocado to a smoothie and most people make a weird face at me. But now I’m a fan for life. The first time I blended this without ice, which I would not recommend as highly. It is much more refreshing with ice. I also added a handful of spinach, just because I can. You don’t have to. But maybe you want to. Your call. If you’re an avocado lover I would definitely recommend trying this. I am always looking for ways to use avocado since it is so incredibly good for you. Do you have any suggestions for unique ways to use avocado? Let me know in the comments! You might also love this pineapple acai smoothie bowl! Add all ingredients into a blender and blend. Add ice cubes to achieve desired consistency. Serve immediately. Avocados are perfect in smoothies. The best healthy fat, and such amazing flavor. Yum! I love avocado and I’ve had it in almost every thing. And YET!! I have never had a avocado smoothie.. Not sure why!! It’s time I try right? I like avocado but not in smoothie . But your recipe looks good and delicious. I agree this will be great and energetic before your workout. What a delicious and nutritious smoothie. Avocados make things so thick and creamy. Bananas add natural sweetness. Simple ingredients that produce tasty results is always a winner. I read about the reported avocado shortage a while ago but then haven’t heard anything new. I refuse to believe it – I LOVE my daily dose of avocados! 🙂 This smoothie looks so refreshing and filling. Love it! This is a great excuse to eat more avocados! I just picked up some beautiful ones from the farmers market. 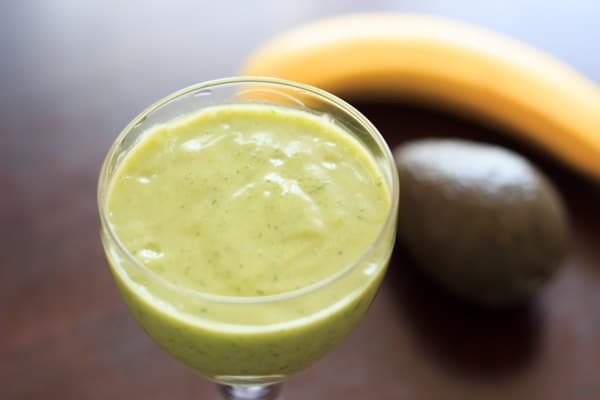 Avocado banana smoothie looks delicious. I too like to add avocado in my smoothie. You made it more healthier by adding spinach. I will try this one for my breakfast. 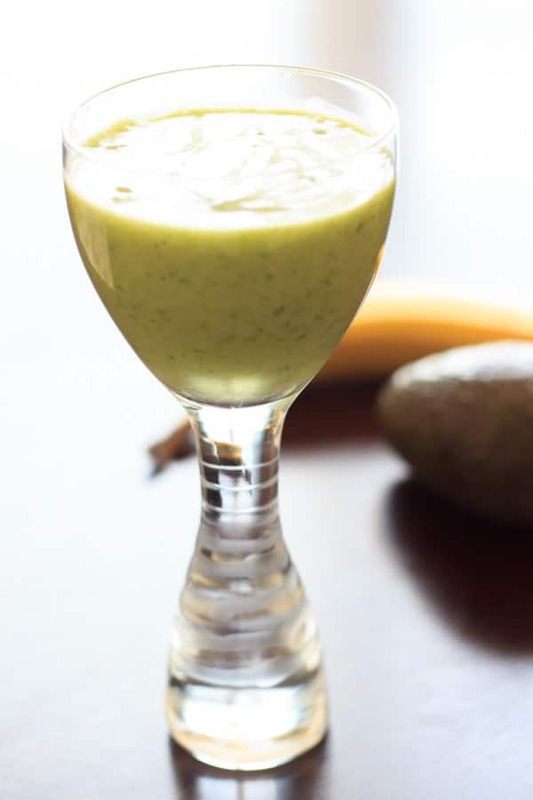 I grew up enjoying avocado smoothie as my mom would often make this for us while we were still living in the Philippines so I am sure I will enjoy your smoothie, too! My Mom loves banana smoothies, I’m not sure if she’s ever tried one with avocado. The color reminds me of springtime. This is such a quick and delicious smoothie. We are flooded with Avocados in the market these days, so this would be a great way to try new avocado recipes. We usually have half an avocado in our salad every night, although we haven’t picked up any lately because of the expense. I haven’t heard of a shortage but it could be why the prices are higher than usual. Your smoothie looks amazing. Will keep an eye for the avocados. I have to admit that I am freaked out of green smoothies. I love avocado and spinach by itself, but I can’t do them in smoothies. I have to get over my inhibition and give it a try. It looks so pretty and that should be a incentive for me to try. I love avocado, but usually I just eat them on sandwiches or in salads, never in smoothies! I will have to give this a try! I’m the kind of girl who would drink a smoothie everyday. 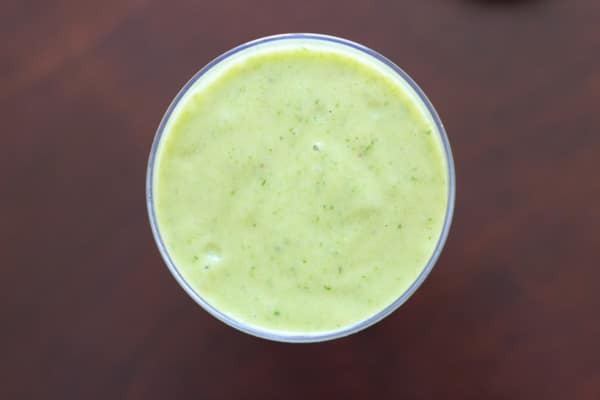 This avocado smoothie looks so delicious and creamy! OMG, I love how this smoothie is served.. in appetizer glass… SO cute! I’m obsessed with avocados lately, so I’m adding this smoothie to my morning smoothie list. I love that this has no added sugars. YUM! Thanks Natalie! At the time, that was the only available clear glass I had, haha! Take a tortilla wrap and place it upon a board or platter. Put thereupon the flesh of one half of an avocado and the flesh of one banana and smite and hack them enough until they be well introduced but not overfamiliar. Then cast upon the heretoaforementioned mash some ground peppercorns of whichever variety thou find pleasing, and then swaddle the mass by the tortilla wrap. If thy needs are for more sweetness, then thou should add a modicum of honey or syrup or nectar, such as would be pleasing to thy palate. Now take the whole forth and give nourishment unto thy being. And may thee be blessed with vigor and vibrancy.